It is one of the inexpensive 5G WiFi TV boxes which will be known for its extremely fast transmission. Alfawise A8 Pro Android TV Box lets you transform your ordinary television into a modern one as it comes with Android 8.1 OS that takes care of the high performance of the device. This fabulous device from Alfawise lets you enjoy a unique viewing experience with its 4K HD image quality. This device brags about 2GB of RAM and 16GB of ROM thereby making it one of the most sought after gadgets in the market today. This Android TV box also comes with versatile screen monitoring functionality that allows you to play your mobile videos, music files, and games on a big screen. This device is 1.7 cm thin and it weighs only 81gm. It is extremely compact in size and you can keep it at any place of your choice. 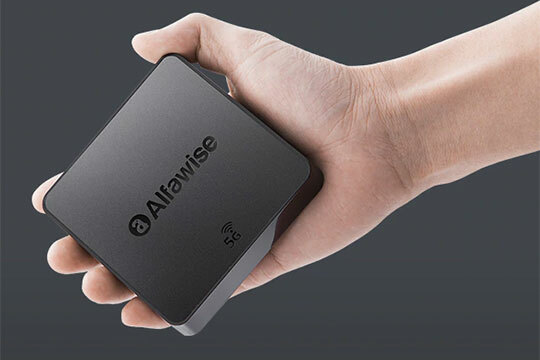 You can purchase Alfawise A8 Pro Android TV Box on GearBest at a price of only $29.99 with a discount of 7%. If you are conscious about your health then Alfawise has brought you an extremely handy gadget in the form of H19 Smartwatch Fitness Tracker. You can track and gather all your important fitness data while wearing this device in your hand. It also comes with a feature of real-time heart tracking that lets you track blood pressure, heart rate, and sleep patterns. Alfawise H19 Smartwatch Fitness Tracker features 240 x 240 TFT display of 1.3 inch that lets you answer to your calls or messages within an only single click. The device features a powerful battery of 180mAh that can run for 30 days in standby mode and 10 days in working mode. You can purchase this IP67 waterproof device from GearBest at a price of $22.99 with a hefty discount of 25%. 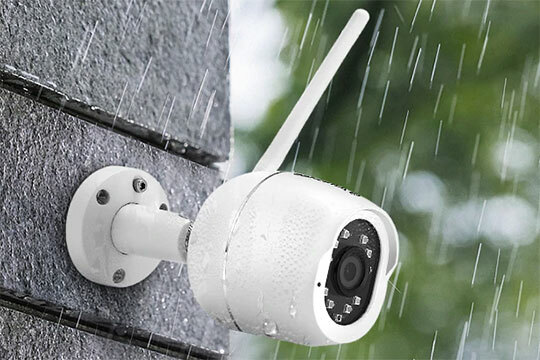 If you are looking for a high-quality Outdoor IP Camera at a price of around $30-$35 then check out Alfawise ZS – GX4S Outdoor IP Camera on GearBest. This durable metal camera comes with IP66 waterproof capability that makes sure you enjoy the high performance for a longer time. It features perfect viewing angles which make sure you get a wide view. You can easily fold or unfold this camera for mounting purpose. The camera features a video resolution of 200W 1080P and 1/4 CMOS color sensors. It also comes with 2.4G Wi-Fi capability and auto shutter speed functionality. This tiny product measures 6.3 x 1.97 x 3.54 inches and weighs only 0.3030 kg. It is one of the fresh gadgets by Alfawise which is known for its enhanced brightness when compared with other devices. This product also boasts about its unique glass lenses and extraordinary optical design. The projector offers you extremely high-quality viewing experience and you can play your media files to watch them on a big screen. 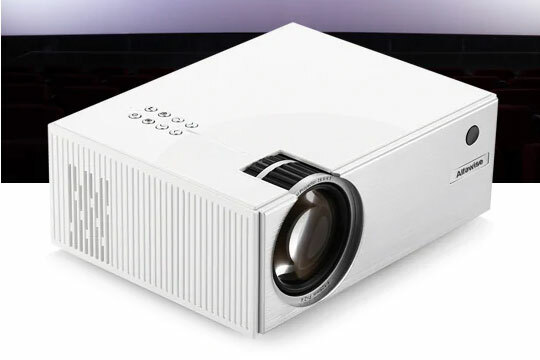 This projector features 3.5mm jack, USB, AV, HDMI and SD card slot that allows you to connect it to a wide range of devices such as Xbox, laptop, Smartphone, Fire TV Stick and many more. You can grab this fantastic gadget on GearBest at $85.99 with 5% off. It is one of the rare headsets available in the market that comes with the feature of open ear design and V5.0 technology. You can consider using it for all your outdoor activities as it comes with IP56 waterproof capability. Alfawise J20 Bluetooth Headset is blessed with ABS + titanium alloy that makes it extremely durable and light weighted. It comes with a battery of 170mAh which can keep the device running for 5 hours without fail. The headset features QCC3003 Bluetooth chip that looks after quick pairing and stable connectivity thereby making you enjoy your favorite music without any interruption. GearBest is offering 12% off on this device and you can get it at $31.99 during the flash sale. 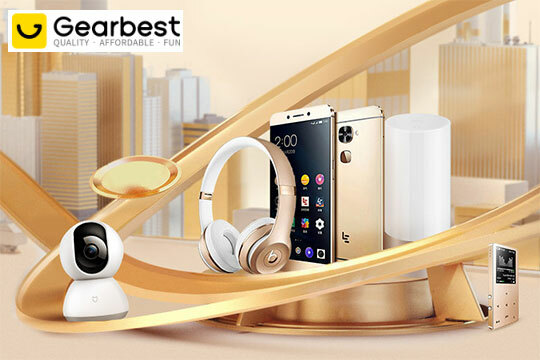 GearBest is known for releasing occasional flash sale that gives customers an opportunity to purchase their dream devices at a highly discounted price. The above-mentioned products are only a few of them and you can browse through the site to find out more. So go ahead and place your orders now as the offer will last for a limited period of time!! !